Struggling isn’t an option. If you want to get better, it’s neccessary. 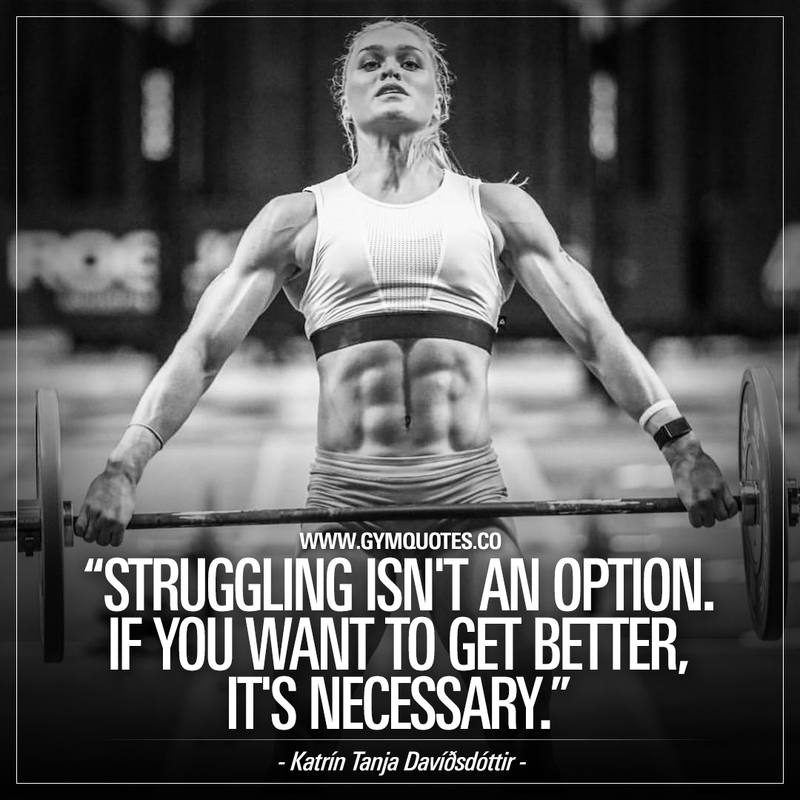 Katrín Tanja Davíðsdóttir is an amazing crossfit athlete and these words are so true. Struggling isn’t really an option. You need to embrace struggle in order to grow and become better. Don’t fear the struggle, fear everything that is too easy!